Stanislaus State’s mission to meet the workforce needs of the region’s industries continues to move forward with the announcement that the University has created a business analytics concentration in its existing Master of Business Administration program. The two-year program will be offered entirely on the Turlock campus through night courses. 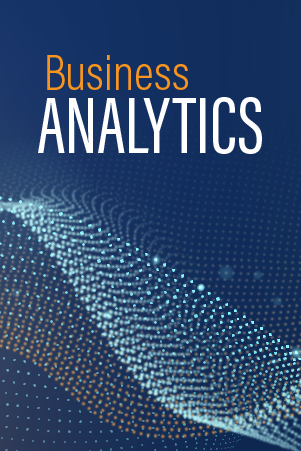 In addition to the seven core courses common to all MBA students at Stan State, master’s candidates with an analytics concentration will take three additional analytics-based courses. The University will be the 10th CSU to offer a master’s degree or concentration in business analytics, and one of the first to have a concentration taught through all its departments. At Stan State, accounting, finance, computer information systems, management, operations and marketing all contribute to the concentration, creating a comprehensive analytics education that can be utilized in many capacities and industries. While the CSU Chancellor’s Office only recently approved Stan State’s analytics concentration, Kidd noted that this has been in the works for about three years. “As faculty from all of our departments attended conferences, they kept seeing over and over a theme toward data science and business analytics. They saw this need,” she said. Kidd noted that two of the region’s largest employers — E. & J. Gallo Winery and Foster Farms — have developed new jobs and strategies using analytics to drive production, marketing and other efforts. In addition, Kidd points out that all of us already are being targeting by analytics in our daily lives — some of it obvious, some of it hidden. The new concentration adds even more value to an MBA program that was recently honored with a national ranking from U.S. News and World Report. In addition, the College of Business Administration in April 2018 received a five-year extension to its accreditation from The Association to Advance Collegiate Schools of Business (AACSB) — a distinction earned by less than 5 percent of colleges and universities world-wide. Fall 2019 applications for Stan State’s MBA programs are being accepted through June 30. For more information, visit the MBA website or contact Kidd at (209) 667-3683 or kkidd@csustan.edu .